We are always excited about meeting new patients during their first visit to our office. 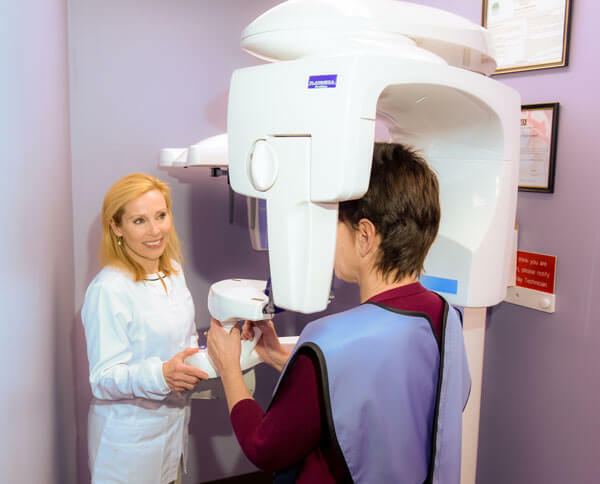 When you come for your first consultation, please bring any panoramic X-rays taken within the past twelve months and, if you have orthodontic insurance, your insurance information. Your first visit usually lasts about 1 hour and begins with a comprehensive evaluation to assess your orthodontic needs. Dr. Switzer will work with you to develop a comprehensive treatment plan to help you achieve the healthy smile you have always wanted. Please feel free to ask any questions you may have about your treatment options when you come into the practice. Following this initial evaluation, we may also reserve time to collect the diagnostic records we will need for treatment. These records may include X-rays, photos and impressions for study models that will be useful for assessing treatment options. This additional appointment usually lasts about 1 hour. After the records are completed, we will then discuss personalized treatment options, time frames and any necessary financial arrangements. Please feel free to ask any additional questions or address any concerns you may still have at this time. We want you to leave our office understanding your orthodontic treatment needs and your personalized treatment plan. We want you to feel confident that we will help you achieve the healthy smile you deserve!